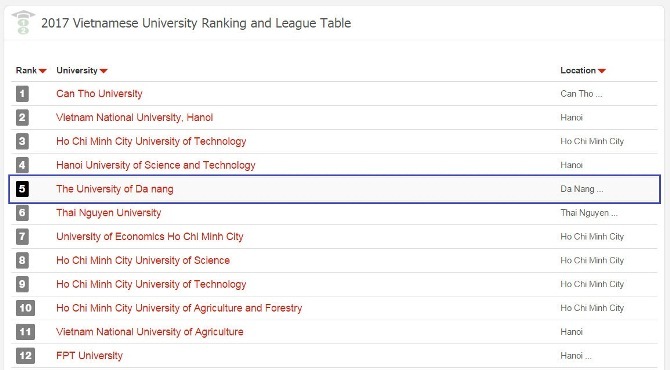 The University of Danang (UD) ranked 5th among the Vietnamese leading universities. This result was officially announced in the 4th meeting of the Quality Assurance Council, UD in the morning of March 7, 2017. Attending the meeting, there were 21 senior leaders from member-universities and functional departments of UD. Prof. Dr. Tran Van Nam - Chairman of the Regional University Council, President of UD, Chairman of the Educational Quality Assurance Council chaired the meeting. According to the report of Assoc. Prof. Dinh Thanh Viet - Permanent Secretary of the Council, Director of Quality Assurance Department, UD, in 2016, the quality accreditation process of UD in general and member-universities in particular had achieved a lot of outstanding results. All four member-universities of UD including University of Science and Technology, University of Economics, University of Education, University of Foreign Language Studies had completed the quality assurance processas well as were accredited by Center of Quality Assurance – Vietnam National University, Hanoi. These 4 member universities were recognized as accredited universities in accordance with the standard of the Ministry of Education and Training (MOET). Especially, University of Education, UD was the first one participating in the quality assurance process and was accredited by an independent organization. In addition, on February 13th, 2017, the two advanced programs in Electronics and Telecommunications and Embedded Systems of University of Science and Technology, UD was recognized to reach the quality standard with the best result among training programs evaluated in Vietnam so far by the AUN-QA assessment. Furthermore, three programs of the French-Vietnamese Engineering Training (PFIEV) were also recognized by CTI Europe for 2017-2022. In the meeting, Assoc. Prof. Dinh Thanh Viet also mentioned shortcomings in quality assurance activities of UD in general and member-universities in particular. Moreover, members of council also acknowledged that the internal quality assurance system of UD and its member universities only tried to comply with the domestic accreditation regulations, therefore, this system had to be improved and modernized in the near future to keep up with international criteria. 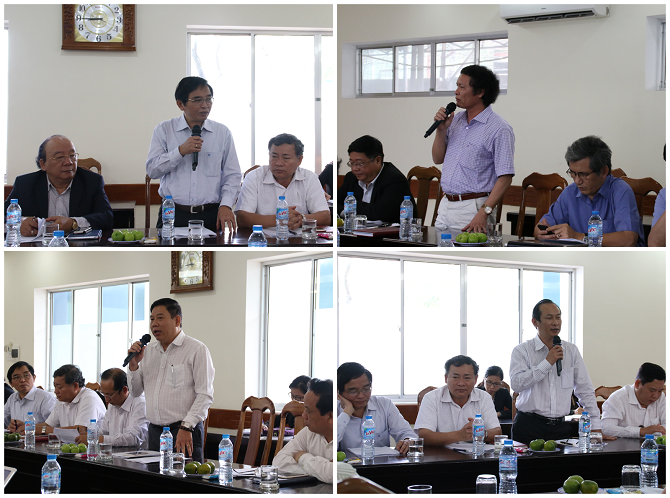 At the end of the meeting, Prof. Dr. Tran Van Nam made an urgent request to focus on building the data and information systems to serve for University rankings as well as proceed to accredit the educational quality according to international standards. In addition, it is necessary to quickly adopt the regulations on the Internal Quality Assurance System of UD as well as member-universities. All member-universities had to not only quickly complete the internal quality assurance system to meet the quality assessment criteria 2.0 but also check, review and improve the criteria quality which the external accreditation team paid attention to and gave recommendations before. Regarding the quality assuranceprocess of training programs, Prof. Dr. Tran Van Nam asked member-universities to continue reviewing and officially registering the quality accreditation plan for training program according to the quality of AUN-QA and the Circular. 04/2016 / TT-BGDDT as well as starting preparation for the system construction, the program review in order to be ready for accrediting 15 programs in accordance with AUN-QA standard in 2018, 2019. Moreover, in 2017, the internal quality accreditation process for training program should be deployed at member-universities of UD.